Judith Studer was born in Pennsylvania. She Attended the University of Wyoming, graduating with high honors, and moved onto the University of Wyoming Law School, where she graduated in 1983 with her Juris Doctorate degree. 1983 was also the year that Judith was admitted into the Wyoming State Bar and the United States District of Wyoming. In 1990, she was admitted to the Tenth Circuit Court of Appeals. Judith has participated in excess of fifty trials and appellate arguments in federal and state court. Judith is a member of the International Society of Barristers, the American College of Trial Lawyers, the International Association of Defense Council, and the Defense Research Institute. Judith has been listed in a number of publications, some of which include: Best’s Directory of Recommended Insurance Attorneys, Mountain States Super Lawyers, Chambers USA, America’s Leading Lawyers for Business, and America’s Leading Litigation Firms and Attorneys. Judith previously served as the Chair of the Board of Professional Responsibility and as the President of WYOMING TRUST COMPANY. Previously she served on the Board of Law Examiners from 1991-1999. She also served on the Wyoming Civil Pattern Jury Institution Committee and on the Committee on Local Rules of the United States District Court for the District of Wyoming. 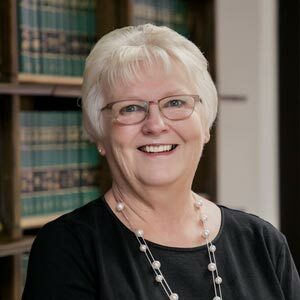 Judith’s community activities and contributions include past membership on Central Wyoming Hospice, Central Wyoming Senior Services, and the Casper Area Community Development Board. Rice v. Collins Communication, Inc.